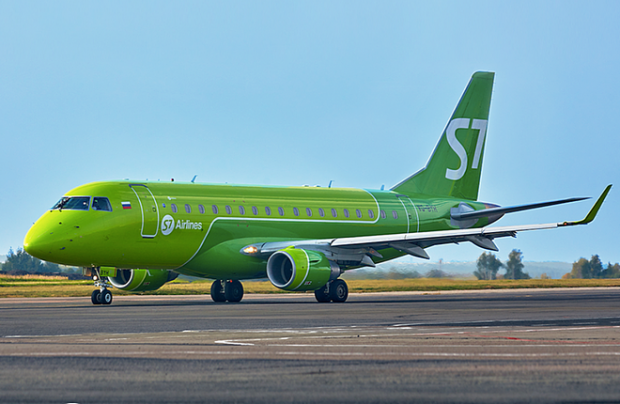 Russia’s S7 Airlines, which is made up of Sibir and Globus, and is a member of the oneworld global airline alliance, is to operate to 216 destinations in 32 countries during the coming summer. “Travellers from Moscow and St Petersburg will, for the first time, be able to travel on direct flights to Nice in the French Riviera, whilst Barcelona, Palma de Mallorca, Olbia, Sochi, and Anapa also appear on the flight schedules for the first time from the northern capital. In another advancement, there will be flights from Novosibirsk to the resort town of Batumi on the Black Sea shores of Georgia,” notes Igor Veretennikov, S7 Group’s director of commerce. Flights to popular Mediterranean destinations, such as to Italy’s Genoa, Olbia and Cagliari; to Spain’s Malaga and Ibiza; and to Croatia’s Dubrovnik and Pula, will reappear on the flight schedule of S7 Airlines, which further believes that Novosibirsk to Larnaca, as well as Frankfurt and Dusseldorf, are also convenient starting points for a trip to Europe. Travellers from Moscow will be able to fly to Vienna again, while those from St Petersburg can access Stockholm. Meanwhile, newly introduced Asian routes for S7 Airlines include direct flights from Vladivostok to Taipei, as well as from Novosibirsk to Guangzhou. Furthermore, flights to Tokyo from Irkutsk and Novosibirsk, to Osaka from Vladivostok, and to Shanghai from Novosibirsk are being re-started. Trips to Alicante, Barcelona, Berlin, Antalya, Rome, Verona, Naples, Tbilisi, Sochi, Anapa, Simferopol, Mineralnye Vody, Catania, Rhodes and Tenerife remain ever popular in the airline’s spring and summer seasons. In 2018, Russia’s biggest private airline group carried more than 15.9 million passengers.